The 2018 World Cup culminated with France winning their second World Cup and Croatia securing their best ever World Cup finish. Croatia reaching the final was nothing short of a fairytale for the country and its supporters. Nobody could have predicted such an outcome. not even the late Paul the Octopus. Croatian captain, Luka Modric's leadership should not be undervalued. While everyone knew about his quality even before the World Cup began, people doubted Croatia's quality as a team. By leading through example, Modric ensured that he got the best of his teammates exactly when it mattered. Croatia's teamwork is encapsulated by this one statistic. They had eight different goal-scorers in the World Cup. Only Belgium bettered this statistic with nine different goal-scorers. 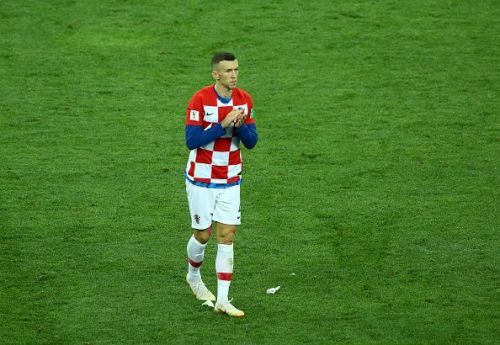 Ivan Perisic is a player that most football fans would have heard of even before the World Cup began. He was undoubtedly one of Croatia's more established stars. Last year, he was heavily linked with a move to Manchester United after having a very successful season in Inter Milan. By his lofty standards, he didn't really hit the ground running at the World Cup. He had a couple of dismal performances in the group stages. By the time the knockout stage arrived, the coach was left with an important decision to make. Croatia had a lot of options in Perisic's position and thus, a selection crisis loomed upon Dalic. Zlatko Dalic chose to keep faith in him and thankfully, the move paid dividends. Perisic was one of Croatia's best players in all their knockout games and played a crucial role in their semi-final victory against England. He finished the tournament with three goals and one assist to his name. He even managed to rack up one 'Man of the Match' performance to his name. So clearly, there's no questioning his footballing abilities. In the final, he scored a rocket of a volley and then conceded a penalty. He handled the ball within the penalty area. You might ask, how could he have made such a crucial and simple error in such an important game? Well, maybe because Ivan Perisic is an international level beach volleyball player and is equally good with his hands. 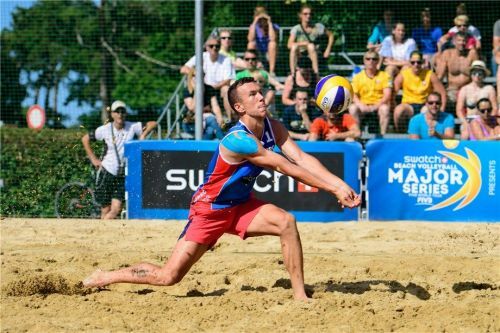 In the summer of 2017, while the transfer rumour mill was going crazy about his impending move to Manchester United, Perisic made his international beach volleyball debut. He made his debut at the Porec Major event where he partnered with fellow Croatian, Niksa Dell'Orco. Much to the crowd's despair, the pair lost the game to ex-Olympians Alvaro De Morais Filho and Saymon Barbosa Santos in straight sets. The pair went on to lose their second game also and failed to get out of their group. "This was always my dream. I have been playing beach volleyball since I was 10. I'm very passionate about this game and every summer I have been practicing with my friend." While Inter Milan were left furious by their star-player's' summer exploits, he sure did enjoy his time playing beach volleyball. Who knows, when his footballing career ends, we could very well expect to see Perisic representing Croatia at the beach volleyball World Cup. Fans will be hoping that he can take them to perhaps another World Cup final and this time, he can use his hands guilt-free!